West Windsor, N.J. – On Nov. 20, members of the arts community came out to celebrate the opening of “My Mercer: Mercer County Photography Exhibition 2013.” Co-sponsored by the Mercer County Cultural and Heritage Commission and Mercer County Community College, the show commemorates the county’s 150th anniversary, with all of the 49 images featuring the people, places, things, and events that make Mercer County a special place to live, work, study and enjoy. It runs through Dec. 18 at the Gallery at Mercer. A highlight of the reception was an Awards Ceremony. MCCC Gallery Director Dylan Wolfe announced the award winners, along with Cultural and Heritage Commissioin members Laura Desai and Nora Añanos, and staff member Tricia Fagan. 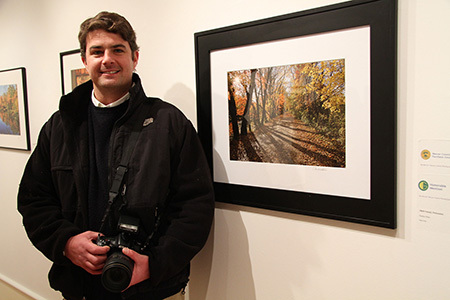 Carl Geisler presented the Princeton Photography Club Award. Juror Michael Mancuso also participated. Jay Brandinger of Pennington won Best in Show for “Threshing Wheat,” one of more than 100 photos he has taken as a volunteer at Howell Living History Farm over the past four years. According to Brandinger, his photo collection has recently been published in a book entitled: “Howell Living History Farm: Preserving Traditional Farming.” He notes that it is the first volume, with more to follow. The Mercer County Cultural & Heritage Commission selected eight photos for Purchase Awards: Elsie Allen of Princeton for “Petals in DR Canal,” Cheryl Bomba of Pennington for “Our Trenton," Bill Felder of Lawrenceville for “Late Summer at the Pole Farm,” Joseph Gilchrist of Hamilton for “Re-enactor Battle of Trenton,” Kapu Patel of West Windsor for “Floating at Dusk,” Charles Plohn of Princeton for “D&R Canal,” Anne Stefane of Lawrenceville for “Trenton Storefront," and Larry Straus of Ewing for “Mercer Oak.” The photos selected for Purchase Awards will become part of the county’s permanent collection. The MCCC Gallery is located on the second floor of the Communication Building on Mercer's West Windsor campus, 1200 Old Trenton Road. More information is available at www.mccc.edu/gallery. 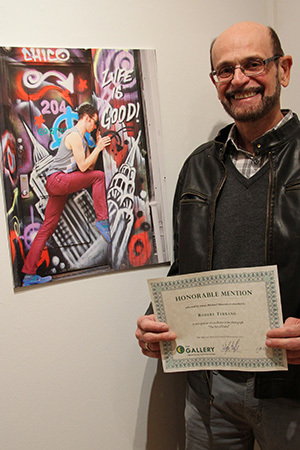 Robert Terrano's "The Art of Dance" earned an Honorable Mention. Best in Show winner was Jay Brandinger, third from left, for his photo "Threshing Wheat." 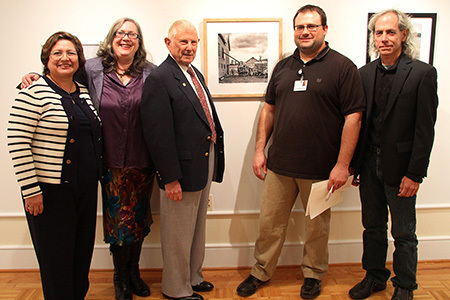 Also pictured are, from left, Nora Añanos and Tricia Fagan of the Mercer County Cultural and Heritage Commission, Gallery Director Dylan Wolfe and Juror Michael Mancuso. Charles Plohn's "D&R Canal" won an Honorable Mention and a Cultural and Heritage Commission Purchase Award. 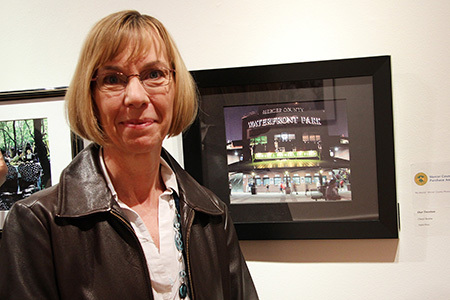 Cheryl Bomba's "Our Trenton" was selected for a Purchase Award. 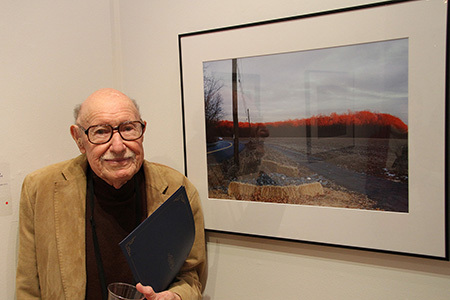 Lionel Goodman's "Loneliness of Nightfall" received an award from the Princeton Photography Club. 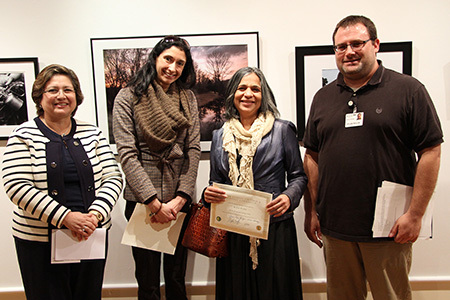 From left, Cultural and Heritage Commission members Nora Añanos and Laura Desai, Purchase Award winner Kapu Patel for her photo, "Floating at Dusk," and Gallery Director Dylan Wolfe. 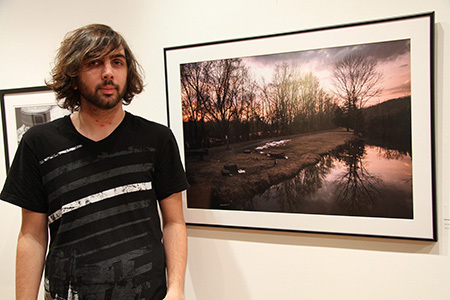 MCCC Photography student Zac Satanello's "Sunset on the Delaware Canal" is featured in the show.